I have a lot of info on my actual YouTube video page (under the video in the Show More section). But here are a few of the details in case you’d rather just stay here. Feel free to comment below with any questions. I’ll do my best to answer them as soon as possible. You can use any beer to replace the water in your recipe. You can even use half beer and half distilled water if you like. Just remember that the beer has to be flat before it can be used. Sodium hydroxide and carbonation do not mix without causing a dangerous eruption. I also like to lower the alcohol content in the beer, so I have a little more time to work with my soap. It still wants to move fast, though. If you do decide to leave the beer opened for several days, be sure to keep it in the fridge. It will start to mold at some point if left out at room temperature. 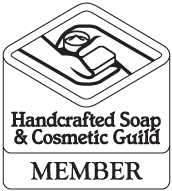 Lye & Water – use a soap calculator like the one at Majestic Mtn Sage (http://goo.gl/7hH5Vw). I actually use Soap Maker 3 for my business and love it (http://www.soapmaker.ca/). I used a 33% lye solution (water = 2 x lye). If you don’t want to discount your water, use a 31% lye solution (water = 2.2 x lye). After preparing the beer, if you’re short on the amount of liquid required, just add distilled water to make up the difference. Looks good enough to eat! But, I won’t! Cant wait to try it! Very nice soap Holly !! I’m not surprised that 20,000 plus people watch your videos… they are truly excellent :-) I enjoy them very much!! Congratulations! Excellent idea for those Male phobs afraid to buy soap. LOL, You are truly an artist! Thank you so much for your wonderful blog and videos. I’ve used many of your recipes and they never disappoint. Do you have a reliable honey and oatmeal soap recipe to share? I’m thinking of just adding 1tbs oatmeal and 1/2 tsp honey per pound of oil at trace to my regular recipe (42%olive, 25%coconut,14%shea butter,8%avocado,6%castor,5%cocoa butter). I read that honey will heat up the soap so I’ll probably leave the wood mold out without covering with a blanket. What do you think? None of my soaps gelled even though they were insulated with wood mold. However, I did soap at a relatively low temp (85degrees or so) and my house temp is around 70. So I guess I need to use more honey if I want gelling. Question: Do you notice having more soda ash when soaping at low temps? Thanks!